Home Android Score Serious Bragging Points With Your Friends On Sporting App, Playnbrag! Score Serious Bragging Points With Your Friends On Sporting App, Playnbrag! 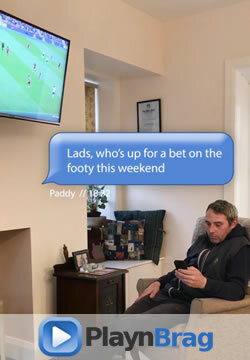 On the news, in the papers, on the radio – the world’s favourite sport is everywhere and if you are like half people on this planet who are football crazy then you can get involved on another level by checking out Playnbrag, a new fantasy sports betting platform where you can bet against your friends for fun or for cash. You can compete against other members of the public if you don’t feel like creating your own league and playing against your friends. Simply choose your teams, keep up-to-date with results via the app and the teams with the most points at the end of the tournament wins. Have good banter with your mates during the gameweek and see which player comes out on top. Whether you’re at home, on the train to work or having a pint down at the pub with some friends, Playnbrag is a simple and fun way to try your luck at winning some cash or even just for having a laugh with your mates. 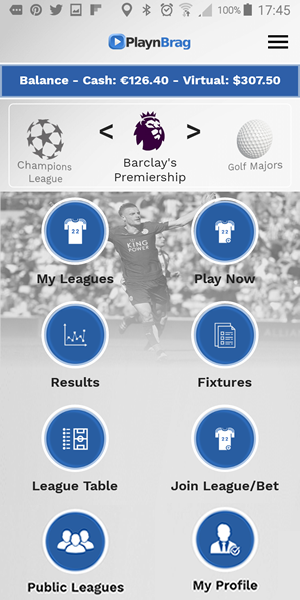 In addition to the Champions League and Barclay’s Premiership, you can also try your hand in the Golf Majors. The rules are pretty similar, you select up to 10 players and choose either a virtual or cash bet. Then you wait to see which players win and receive the most points. If you picked correctly then you could be buying the round at the pub depending on if you’ve chosen to bet real or virtual cash. Playnbrag is exactly what you would expect from a fantasy football app. Although the interface is basic, it is user friendly with decent features including up-to-date results and league table and a blog where you can get the latest on sports news. If you are a sports enthusiast and want to be in for a chance to win some cash or just want to socialise with friends then Playnbrag is the app for you. It is free and available on iOS and Android platforms in addition to their website which you can access via desktop so what are you waiting for? Download now and let the games begin!